California lawmakers took steps to address the state's affordable housing shortage Thursday by passing bills to speed construction and generate money for subsidized housing. 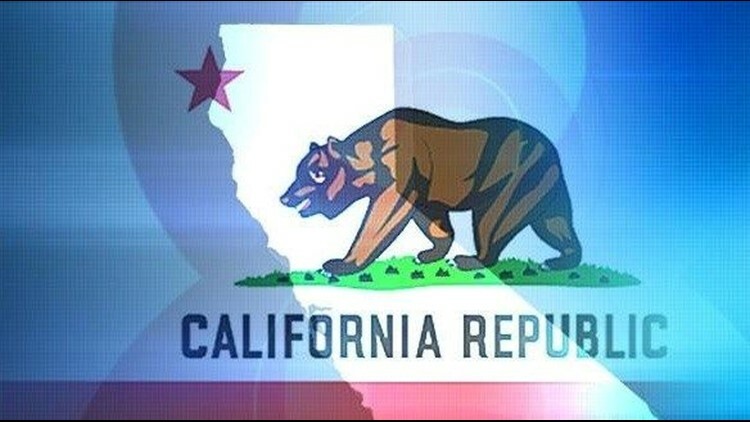 SACRAMENTO, Calif. (AP) — California lawmakers took steps to address the state's affordable housing shortage Thursday by passing bills to speed construction and generate money for subsidized housing. The measures are among hundreds of bills approved by the Legislature this week ahead of a Friday deadline for bills to pass out of the chamber where they originated. Lawmakers also passed bills to protect immigrants, alter the teacher tenure process and prohibit police from enforcing federal marijuana laws that conflict with state law. Both the Senate and the Assembly approved measures to speed housing creation by streamlining building regulations, among about a dozen housing bills passed by lawmakers Thursday. The authors of the bills say they need to pass a combination of measures to address the state's housing crisis. An estimated 1.5 million California families lack access to affordable housing. The state also has disproportionately high rates of homelessness. SB35 removes some development restrictions in cities that fall behind on housing production goals. It passed 23-12 in the Senate. AB73 rewards cities for streamlining the approval of housing, particularly for developments near public transportation. It passed the Assembly 46-19. The Senate also voted 30-9 to put a $3 billion bond for affordable housing on the ballot. "We need a comprehensive solution to address the housing crisis," said Assemblyman David Chiu, a San Francisco Democrat who authored AB73. The California state Senate also approved a measure that would prohibit the state from contracting with companies that bid to build President Donald Trump's proposed border wall. Senators voted 23-16 Thursday to send the bill to the Assembly. The state shouldn't do business with companies that work on the project, which is harmful to immigrant families and the environment, said Sen. Ricardo Lara, a Democrat from Bell Gardens. Sen. Jeff Stone said the bill would "promote political discrimination." The state shouldn't blacklist companies bidding on a lucrative contract, the Temecula Republican said. The state Assembly also approved measures to train defense attorneys on immigration law and protect college students from federal immigration officials. The Assembly also voted to keep state and local police from helping enforce federal anti-marijuana laws that conflict with state law. Californians voted to legalize recreational cannabis in November. Federal law still prohibits marijuana use. The measure by Assembly Reggie Jones-Sawyer would shield Californians complying with state cannabis regulations, such as those legally operating shops selling marijuana, from being detained, reported or arrested by state or local police. The Los Angeles Democrat's bill comes amid uncertainty surrounding how President Donald Trump's administration will deal with states that have legalized marijuana. It has been compared to the so-called "sanctuary state" bill advancing through the Legislature that would prohibit police from cooperating with federal immigration enforcement. "First it was immigration, now it's enforce of our federal drug laws," said Assemblyman Travis Allen, a Republican from Huntington Beach who opposes the bill. "This is insanity." Lawmakers passed a bill by Assemblywoman Shirley Weber that would give public school teachers three years to earn a permanent status designation known as tenure. The current two-year process is too short and not flexible enough, said Weber, a San Diego Democrat. The bill passed the Assembly 59-3 Thursday with bipartisan support. All lawmakers who voted against the bill and most who abstained are Democrats. Assemblyman Tony Thurmond, a Richmond Democrat who didn't vote on the bill, said it doesn't address the right problems in schools.